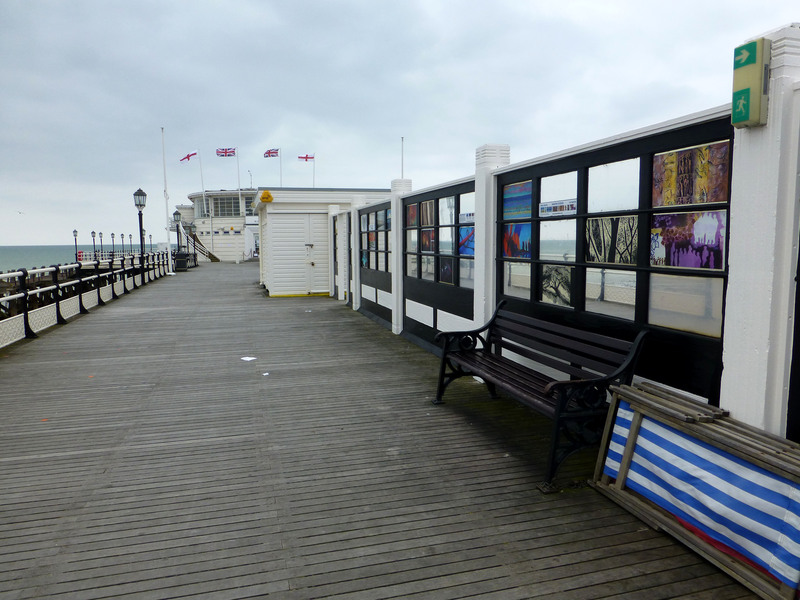 Come and visit our most recent exhibition on our lovely Victorian Worthing Pier! 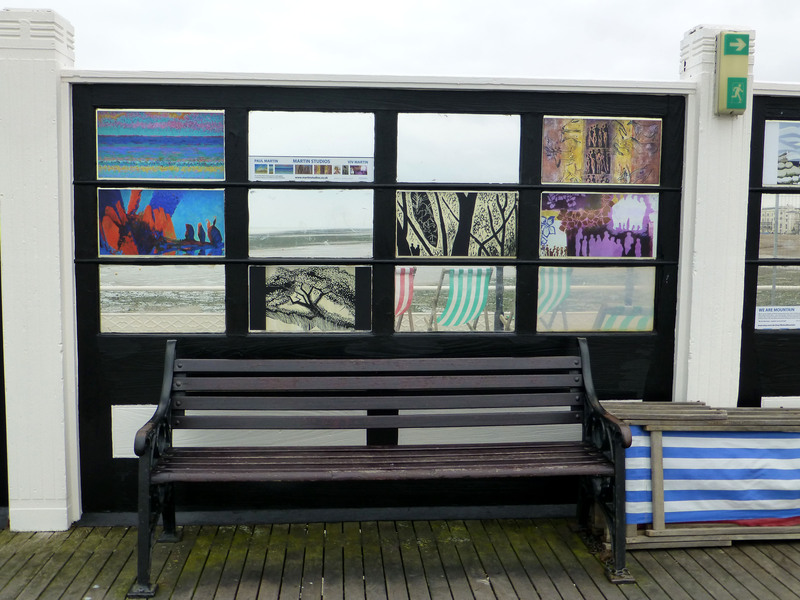 You can’t get a more sea-side experience than this – light sea breezes, waves crashing beneath, deck chairs, ice cream… and a free art exhibition! Thanks to Nadia and Nessy of Creative Waves. 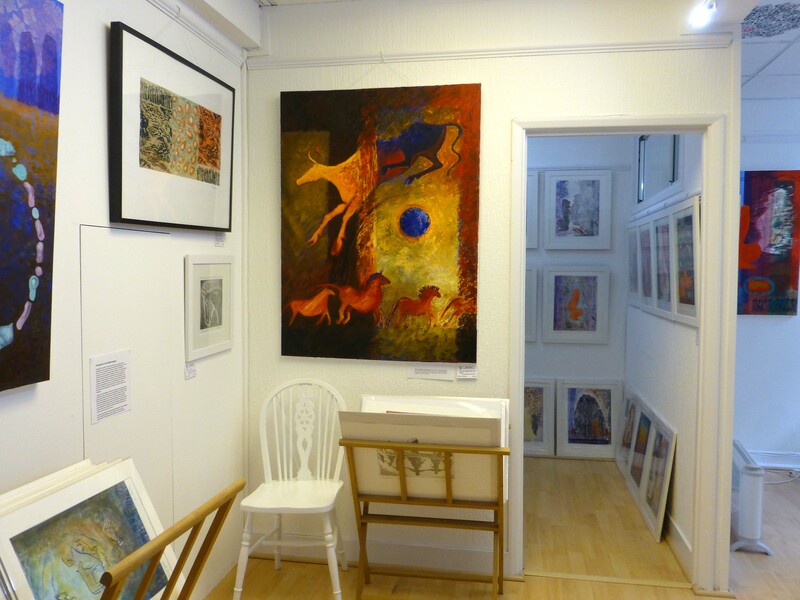 Our studio gallery is open too, near the pier in Stanford Square, just off Warwick Street. 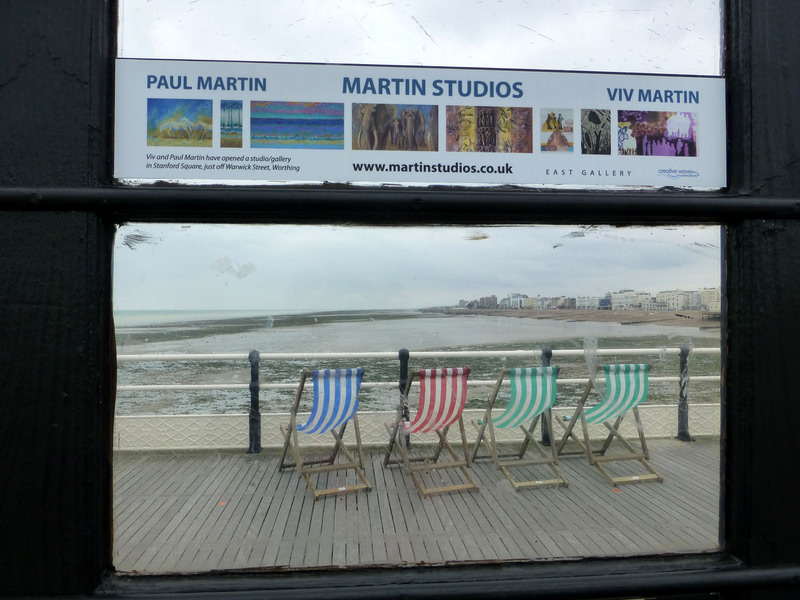 We’ll be there this Bank Holiday weekend from 11am – 3pm and then all through the Worthing Art Trail, from June 11th – 28th, Thursday – Sunday from 11am – 5pm. 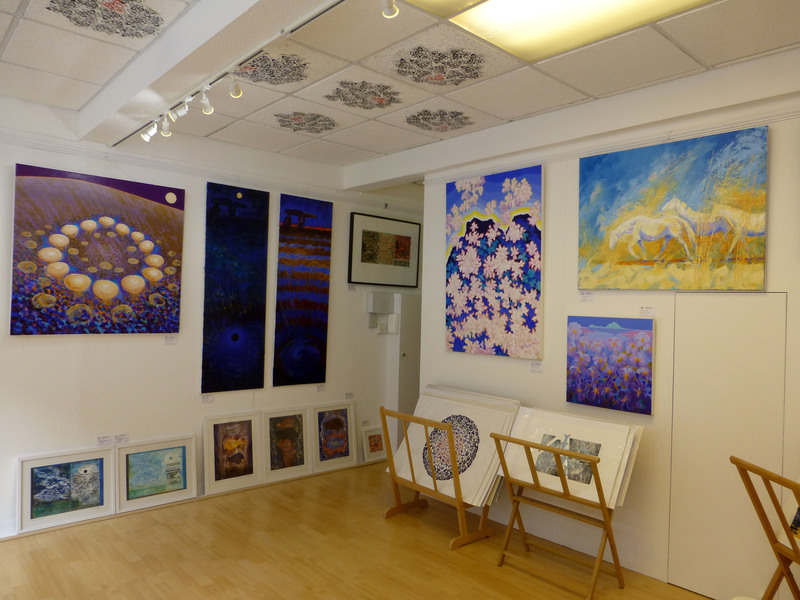 We’re showing lots of our work inspired by early blossom and the sense of renewal that spring brings. 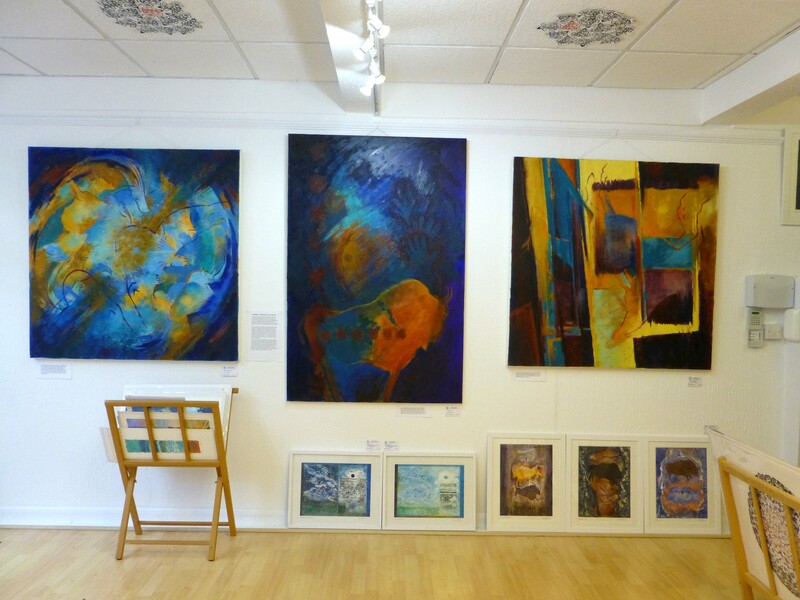 We’re showing a range of our spring-like work to celebrate the month of May! 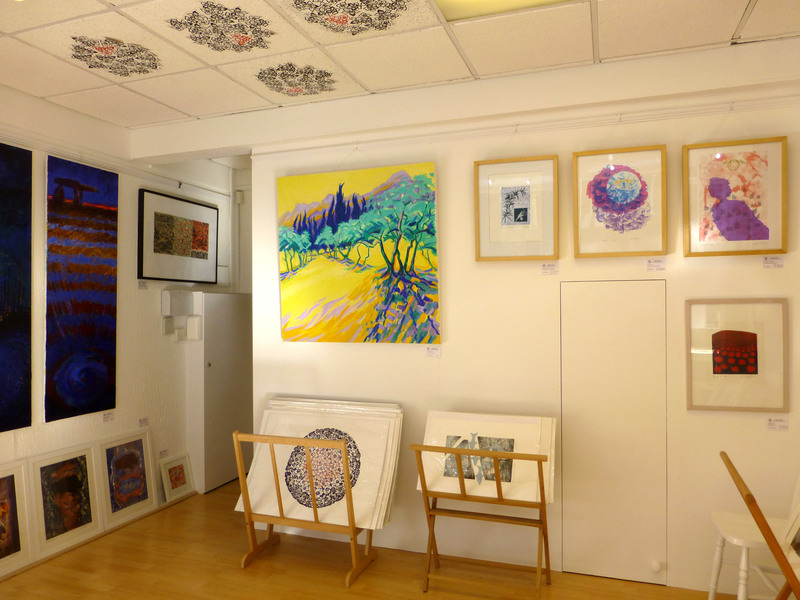 There are paintings of cherry blossom from the south of France and lots of etchings, woodcuts and screenprints alongside some mixed media work on paper and board. Viv is still cutting a woodcut of daffodils and Paul will be working on an oil painting – so watch out for wood chips and wet paint! We’re open Thursday – Saturday and Sunday and Monday on both May Bank Holiday weekends, all 11am – 3pm. We’ve just returned from Cornwall, where we always hope to see the first signs of Spring! It was still quite cold and wet, but there were amazingly bright yellow fields of daffodils, hovering in a rather grey landscape. 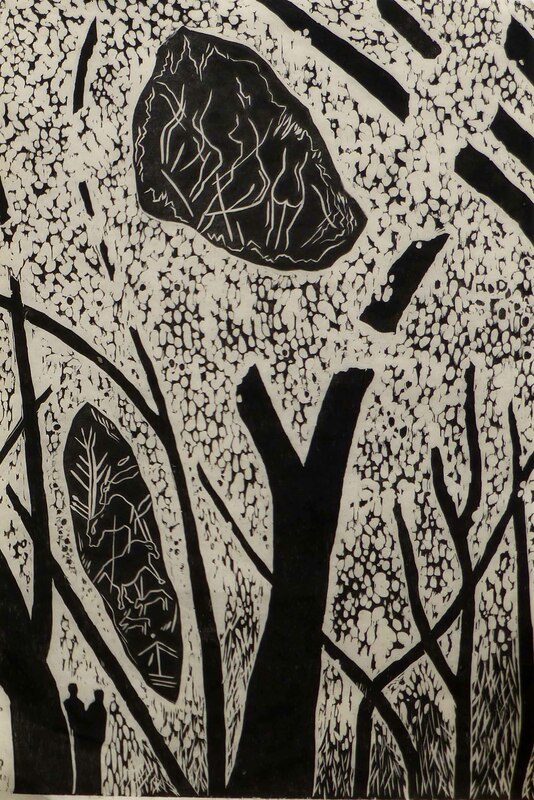 Viv has started a woodcut that she’s thinking of as a field of daffodils, although she has changed the perspective. It’s drawn as fairly large flower heads, as though seen from the side, but clustered tightly in a square that represents the field as though seen from above. 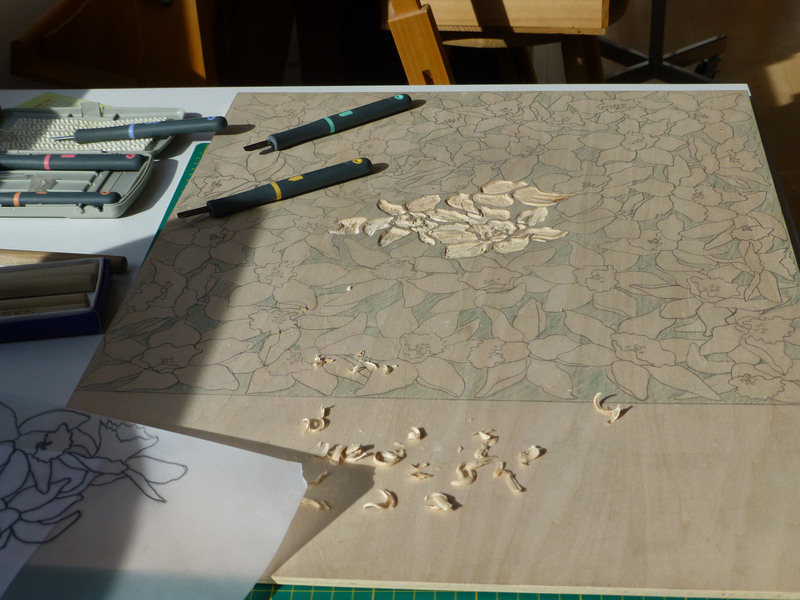 It’s quite difficult to cut, but although she’s working from several drawings, she’s making changes to use the woodgrain as she goes along. You can see Viv cutting this in our studio/gallery in Stanford Square in Worthing – open for our ‘Signs of Spring’ show through March, on Wed – Sat, 11am – 3pm. Now that we’re seeing the sun again and there are little signs of spring, we’re changing the work in the studio/gallery around to feel less like the Ice Age and more like early spring! 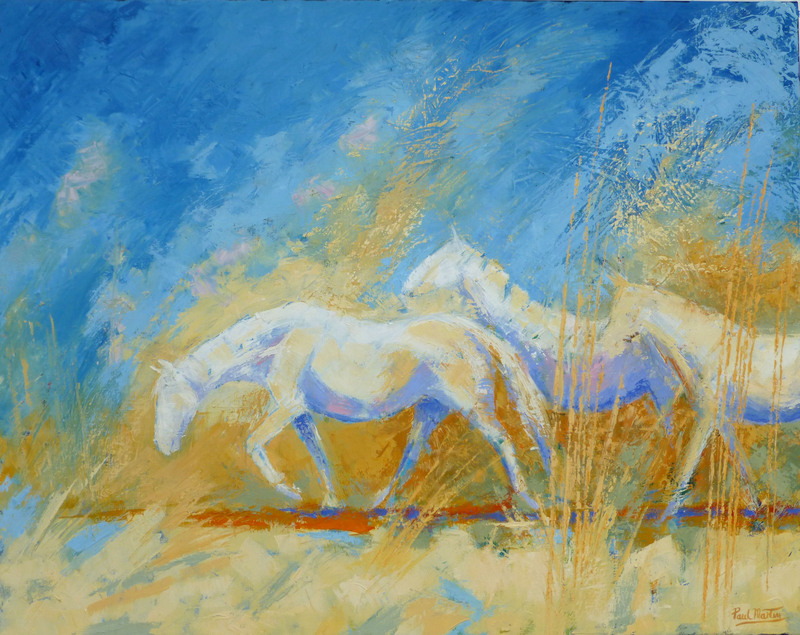 So we’ll be hanging Paul’s recent painting of Camarge horses, reflecting the clear bright light there early in the year. 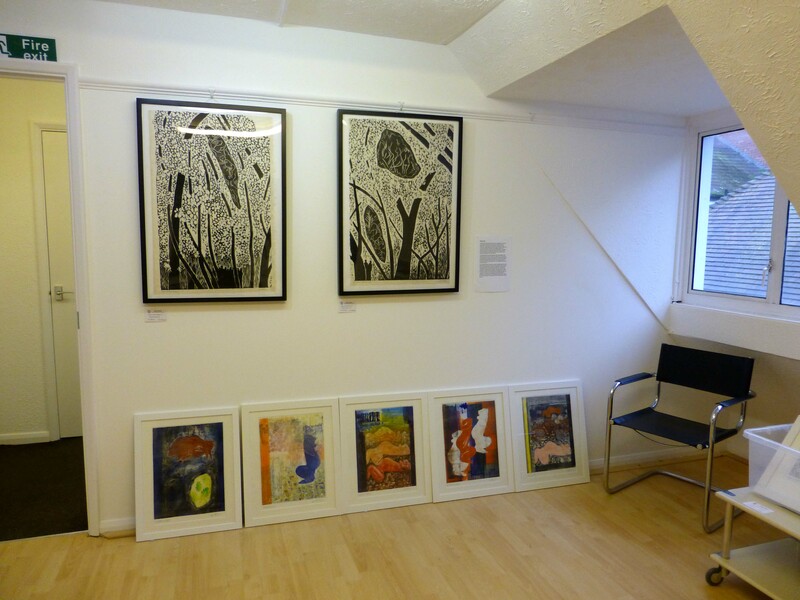 Viv’s woodcuts of cherry blossom on the hills around the prehistoric caves will also be in the next show, ‘Signs of Spring’, which will open from March 12th until Easter weekend. 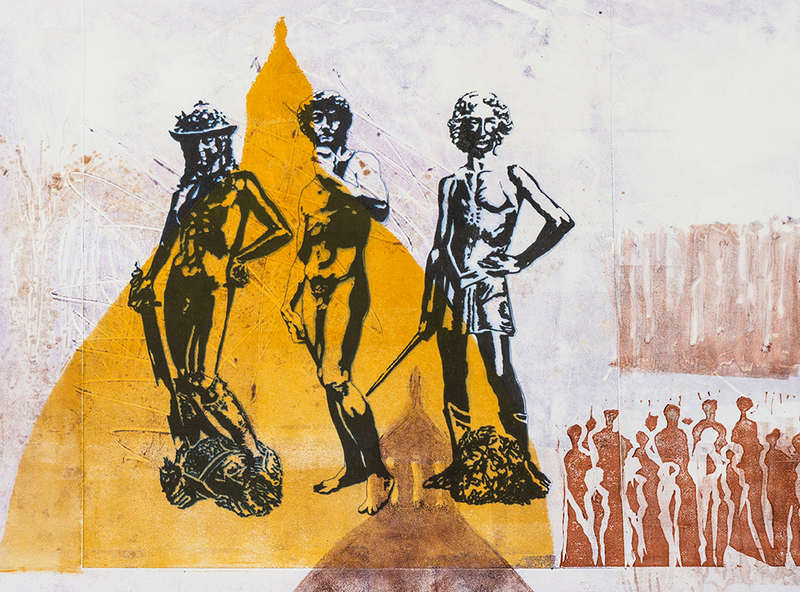 Our ‘Artists and the Ice Age show is on until February 14th – more info on http://www.martinstudios.co.uk. 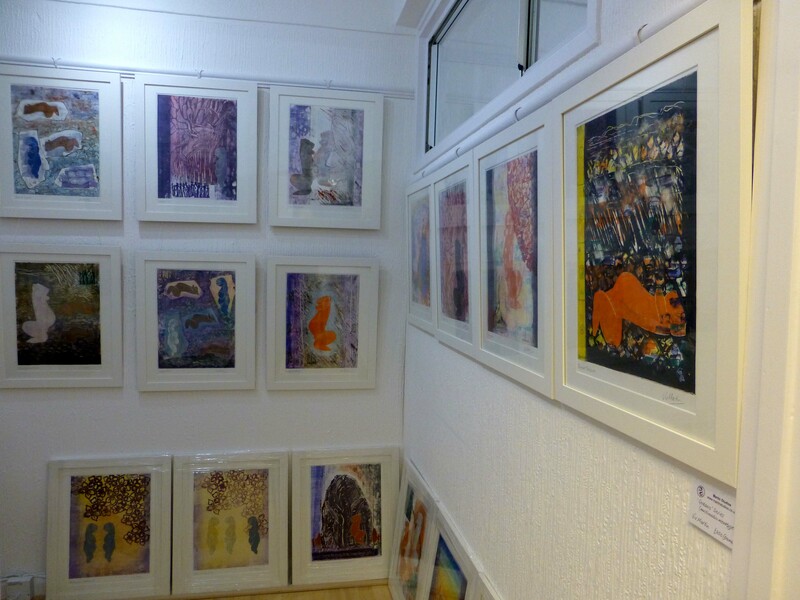 These are some of Paul’s big oil paintings that capture the atmosphere and glimpses of images in the caves and there are more upstairs. 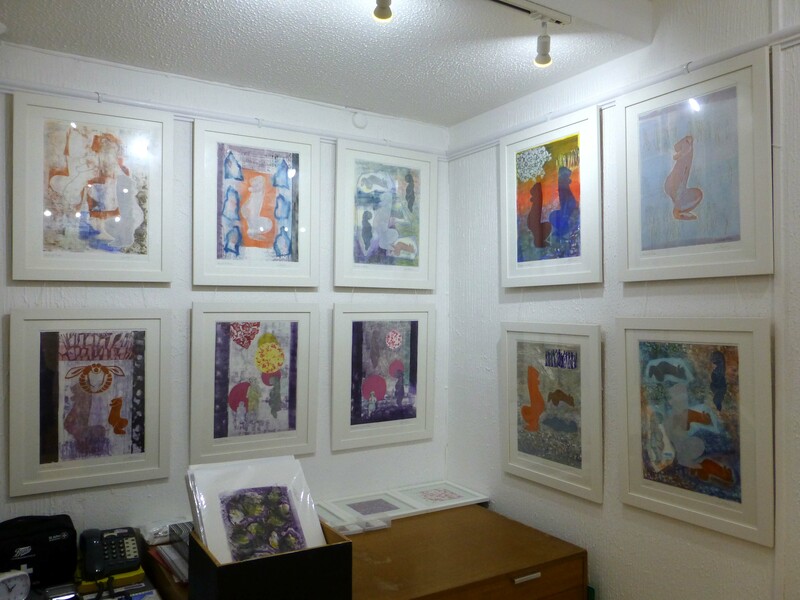 In one of our smaller rooms there are a group of Viv’s monotypes that are about the tiny Venus figures from the Ice Age. Viv loves the idea that they have been waiting for thousands of years to come out of the ground and be with people again – what a privilege it is to be living at the right time to meet them again!